Gemini season is in full swing, and the energies of Gemini are still permeating our lives, calling us to reflect both on our relationships with ourselves and with others. There's been a theme in the conversations I've been having with those around me: difficult situations are bubbling up, and we are wondering how to address them. There's an old piece of advice, that while sometimes annoying to receive, contains a universal truth: We can only control ourselves, and how we choose to act and react. 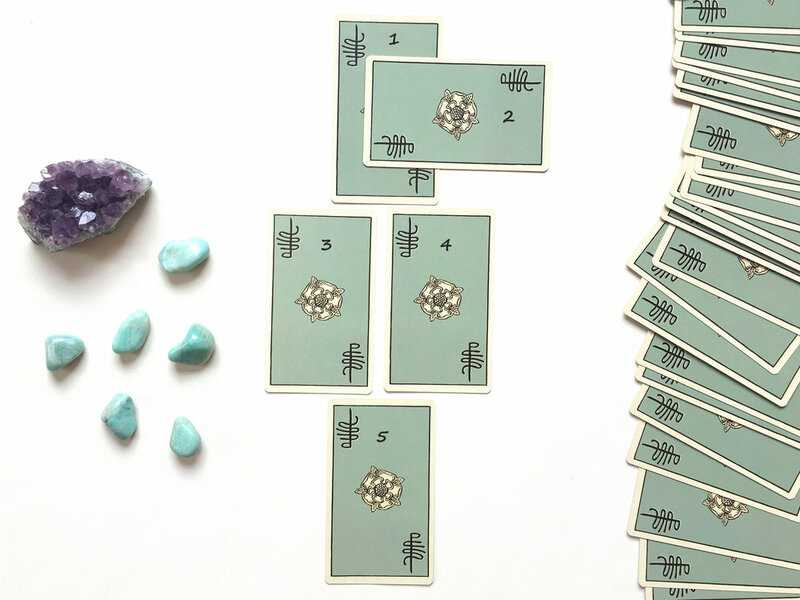 From these discussions came this new tarot spread, to help us navigate complicated situations in a way that keeps us aligned with our highest and best truths. This spread seeks not only to provide actionable guidance, but to give a mirror so we can evaluate what we are bringing to the situation. Be gentle with yourselves, and have a great weekend! PS - Take a look at my workshop page to see where you can catch me this month!